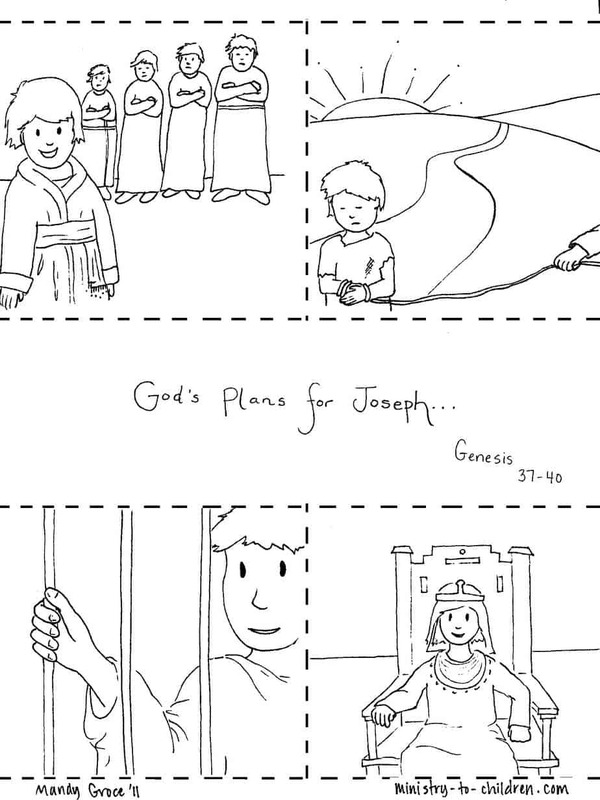 These sequenced coloring pages tell the story of Joseph. They could be used as a teaching illustration in Sunday School, or a printable coloring activity for children. Simply print out the pages from the links below. All our resources are 100% free to use in your church, home, or school. Directions: Click on the links below to download these files. The PDF version is easier to print, but the JPEG version allows you to modify with graphic editing software. 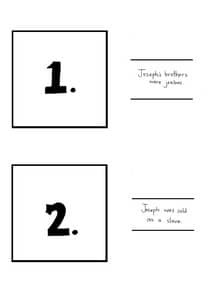 Many readers use colored paper for the numbered sheets. 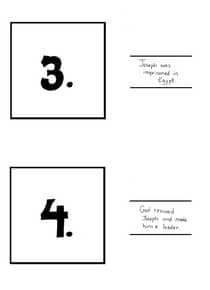 This makes a nice frame effect on the finished Bible storyboard. If you enjoy these resources, please leave a comment below to thank Mandy for sharing her talents. 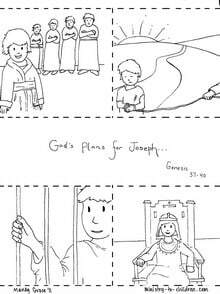 You can also browse many more of our Sunday School coloring pages. These resources are amazing! Thank you so much for sharing them. So often I find our curriculum lacking and your materials are so great for filling the gaps it misses! Tony Kummer (Editor) reviewed & updated this page on : May 25, 2011 at 10:17 am. All our content is peer reviewed by our readers, simply leave a comment on any post suggest an update.